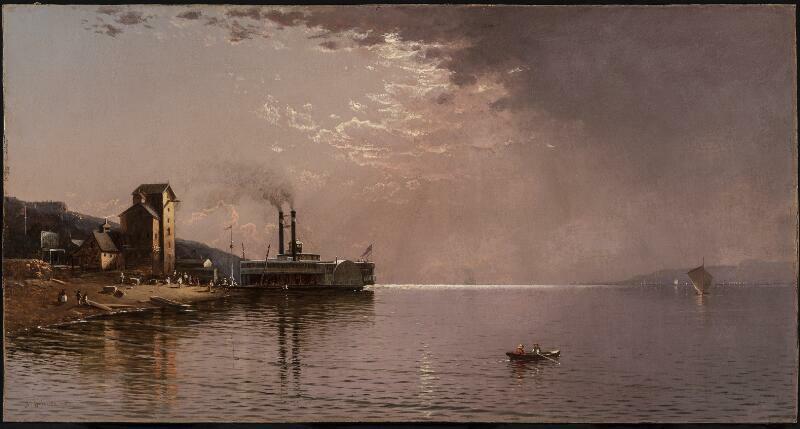 One of America’s most accomplished landscape painters, Sanford Robinson Gifford produced luminous, atmospheric views of the northeastern and western United States, Europe, Canada, and the Near East. Set near his native Hudson, New York, Hunter Mountain, Twilight depicts a peak shrouded in a pale blue haze, silhouetted against a glowing sky. 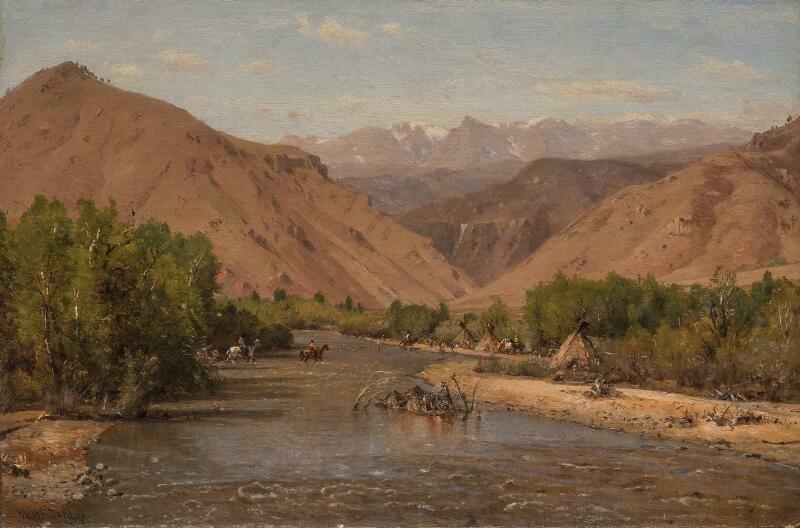 Although the grazing cows, cowherd, and house in the valley below evoke calm domesticity, the tree stumps in the foreground reveal how land development degraded nature. The small farm has been stripped of its hemlock trees to harvest tannin, an essential ingredient in leather tanning. In 1860s America, tree stumps symbolized both the destruction of treasured wilderness and the devastation caused by the American Civil War (1861–65), during which Gifford served in the Union Army. 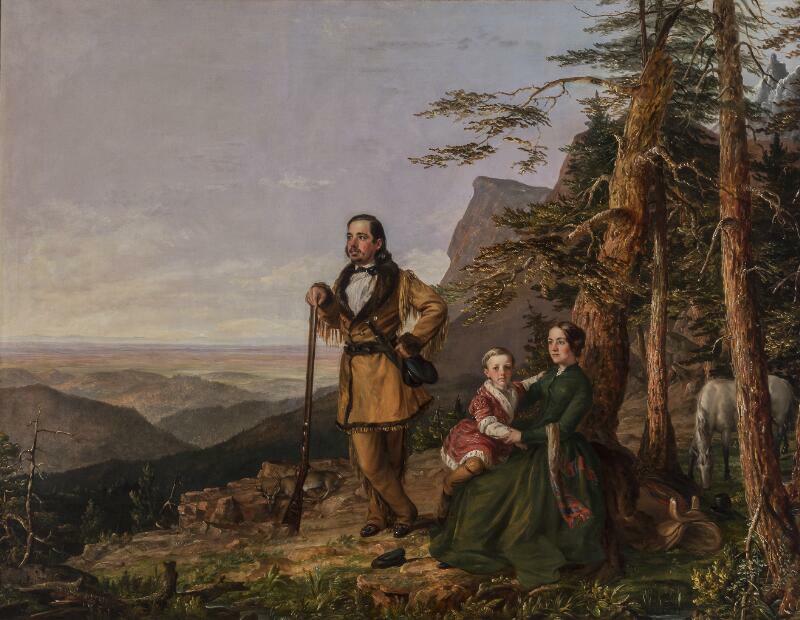 The despoiled landscape he shows here expresses both a sense of national mourning and an emerging concern for nature conservation. 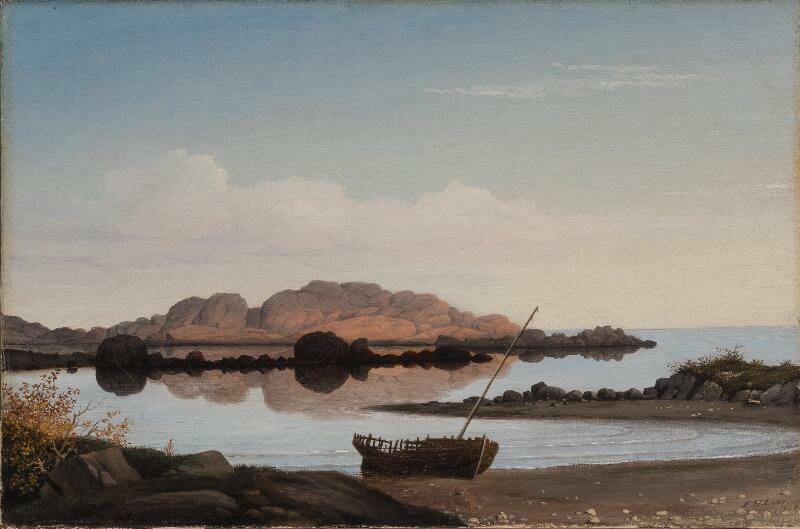 An awareness that exploitation of the Earth’s natural resources was transforming the physical contours of the Americas began to show up in visual culture around the mid-nineteenth century. 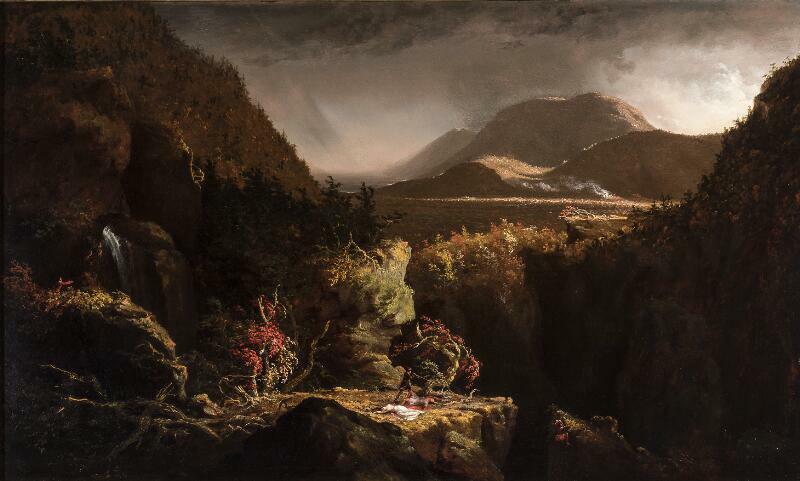 Environmental destruction was depicted explicitly in landscape painting, insinuating itself as a latent threat in representations of untouched wilderness, and was central to the ideas and work of Thomas Cole (1801–1848) and his followers. 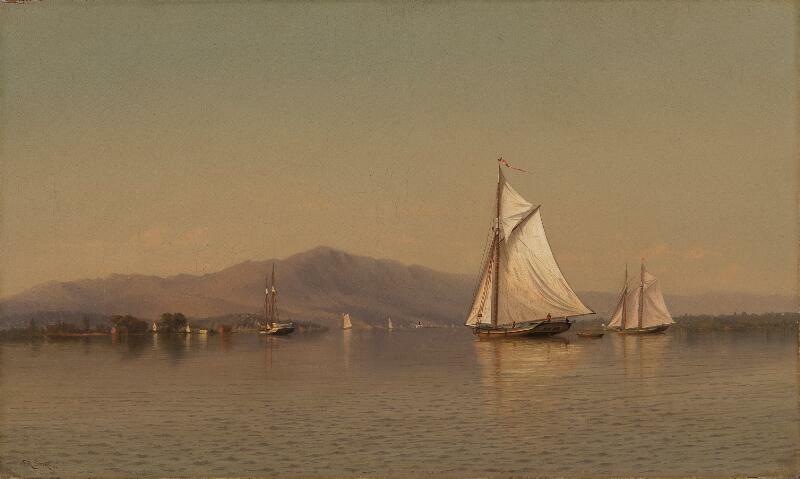 Sanford R. Gifford grew up in the Hudson River Valley and, inspired by Cole, chose its terrain as a recurring subject. 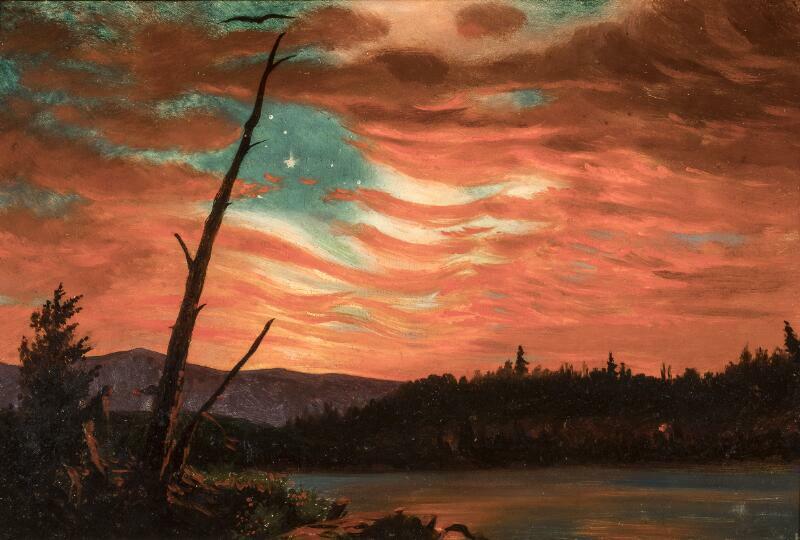 He was already a renowned painter in 1866, when Hunter Mountain, Twilight was displayed for the first time, at the forty-first exhibition of the National Academy of Design in New York. It was among the works representing the United States at the 1867 International Exposition in Paris. 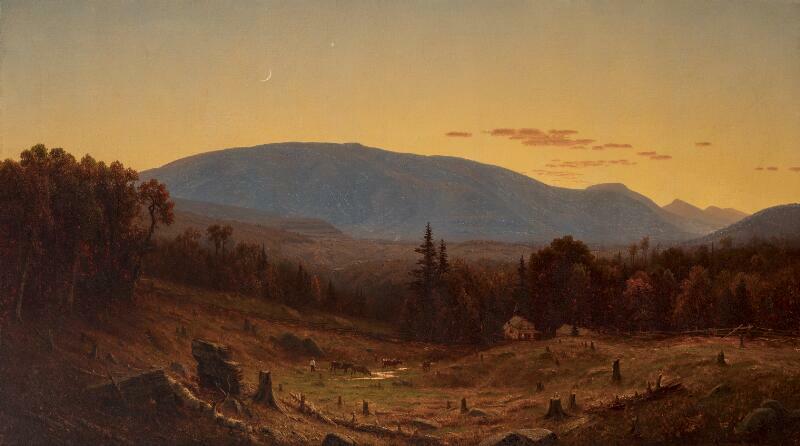 Backlit at sunset, the mountain dominates the upper half of the composition, witness to the relentless flow of days, as suggested by the fading sun on the horizon and a rising moon and star in the firmament above. The cyclical nature of time is reinforced by the allusion to the seasons in the reddening leaves. It is the end of the day and likely the beginning of autumn, transitions through which Gifford evokes the ephemerality of human life. 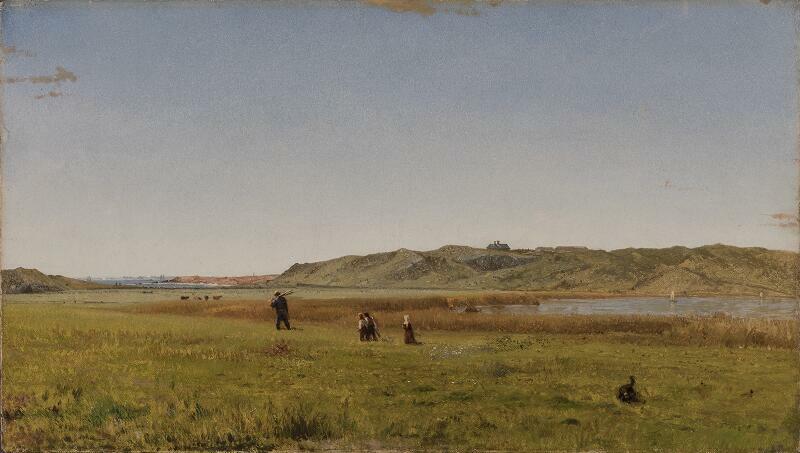 The rustic house at the fringes of the forest, the fence marking the property, and the man tending his cattle are all motifs taken from the pastoral painting tradition, which affirms the possibility of humanity harmoniously coexisting with the natural world. 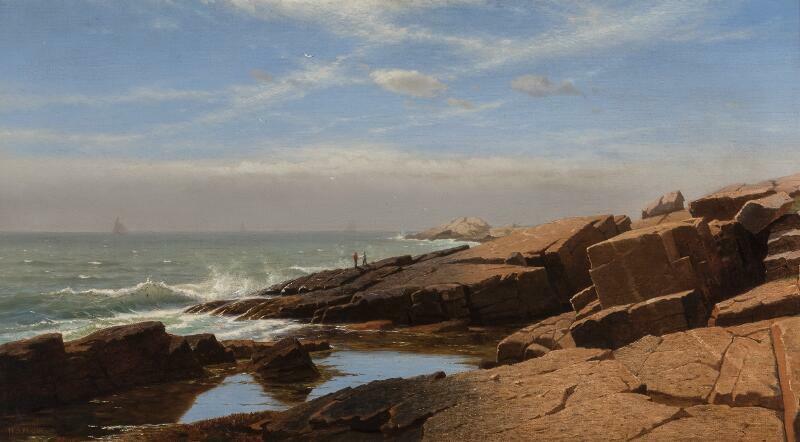 The grandeur of the landscape, accentuated by the small figure, attests to Gifford’s great skill for creating sweeping vistas on compact canvases. The golden glow illuminating the center and the glint of a small creek reflecting the setting sun show his mastery of lyrical chromatic and atmospheric effects. The foreground, however, is disconcerting: the serene domestic scene is visible to the viewer only because a forest has been cut down. Felled trees and stumps dominate the lower quarter of the painting, functioning almost as a memento mori. 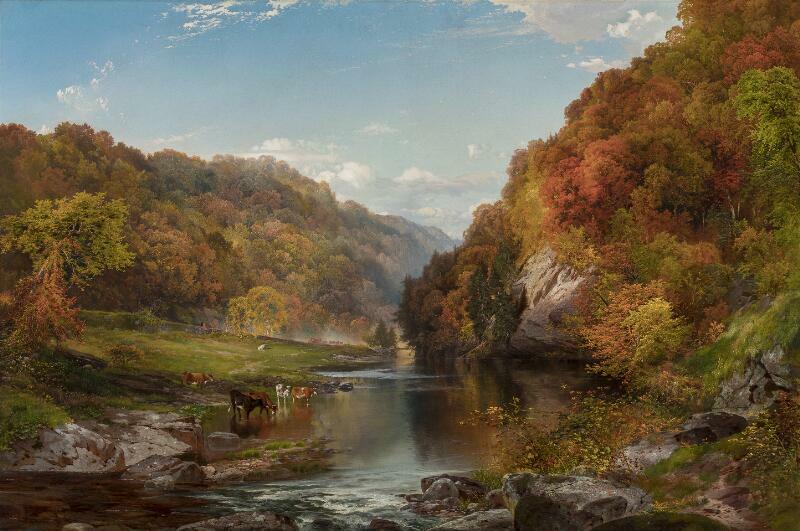 This painting has been interpreted as testimony to Gifford’s opposition to the disastrous effects of human habitation, while also—given its date of execution—serving as metaphor for the devastation wrought by the American Civil War (1861–65). Almost twenty years earlier, the theme of natural destruction had been taken up by the French-Brazilian painter Félix-Émile Taunay (1795–1881), then director of the Imperial Academy of Fine Arts in Rio de Janeiro. In a similarly segmented composition, View of a Native Forest Being Reduced to Coal (c. 1840, Museu Nacional de Belas Artes, Rio de Janeiro, Brazil), Taunay presents an idyllic vision of the tropical forest with its immense variety of interdependent species and, in the luxuriant shade, the natural springs that served as the water supply for Brazil’s largest city. But on the left, this imposing and exuberant landscape is transformed into a scene of desolation, where rampant logging for charcoal has left a barren outline of mountains. 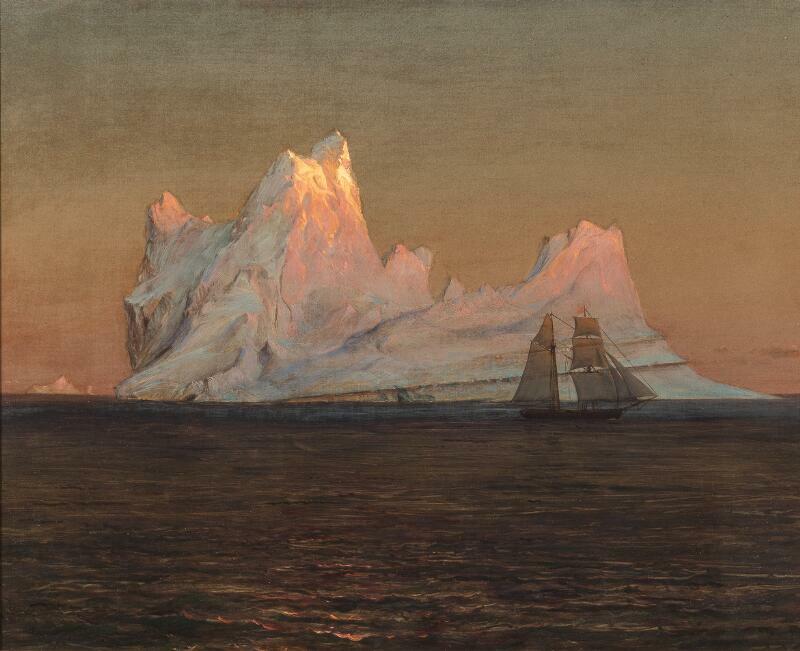 The way in which the “march of progress” across the Americas transformed the landscape was often overlooked in the nineteenth century, and painting of the time generally represented a world of harmony free from conflict. 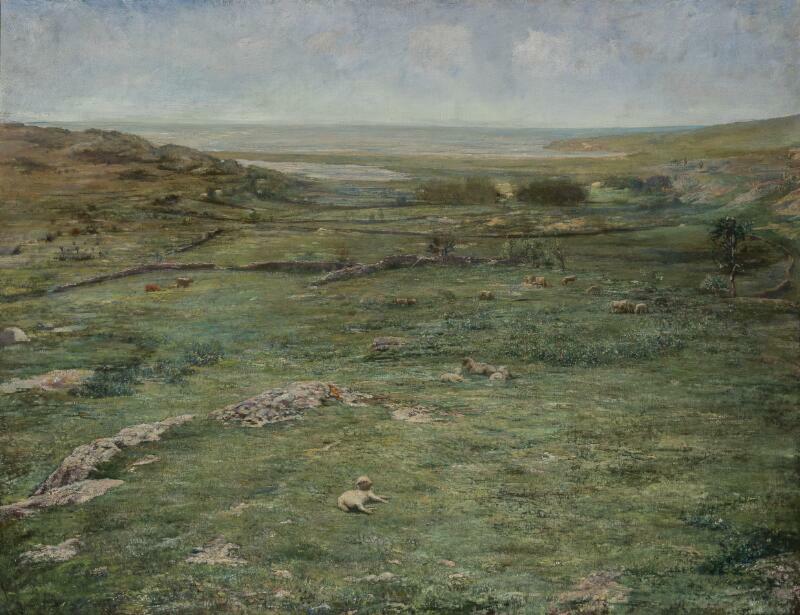 The works of Gifford and Taunay nevertheless attest to the danger some artists saw in that footfall.